It was windy in the night – and foggy in the morning. I’m not sure if it is more fog or smoke, actually, because people light fires for warmth and cooking – moreso towards the end of the day, so it gets gray. I was thankful for the heater they brought us. 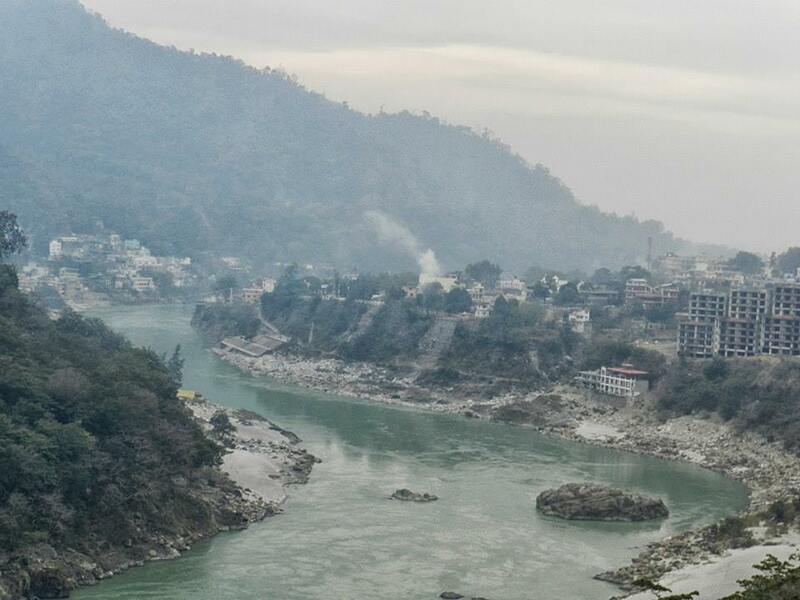 We drove along the Ganges – it is really green! – and then across a bridge and up into the mountains. The drive up the mountain was fantastic! It was a super curvy road (think the Taos Gorge road) up the side of the mountain, through the jungle – the river far below us. We drove by lots of monkeys – lots of little baby ones, too! They were tiny, and really cute. 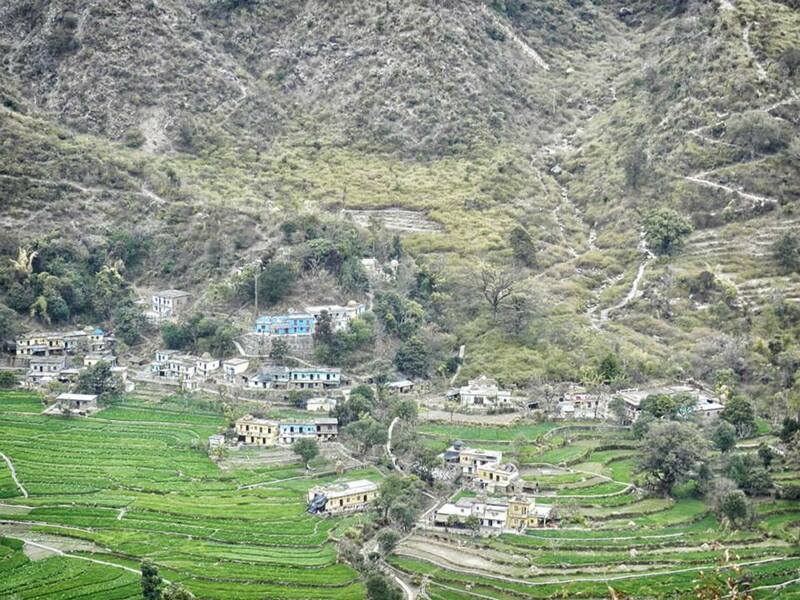 We drove up to a tiny village – lots of little houses on the sides of the mountains, and stepped-agriculture, so lots of the mountainside had tiered fields going up. We parked and walked to the Shiva temple. Not too many tourists in the area – it was nice to be able to follow Hukam and Lata as they went through the temple. We got blessed after walking around the temple – a priest stamped a golden trident on our third-eye – the sign of Shiva. Then we went into a smaller temple where a priest attended a large fire, and he put an ash spot on our forehead. We took off our shoes and socks to walk around, and you were supposed to wash your hands before you went in the temple, so there was water everywhere, and the marble was cold! It was worth it, though. We then went to another part of the temple to get holy string tied around our wrists – for a wish, or for good luck – It’s on the right for a man; left for a woman. Everyone crowded around the priest and shoved their arms in his face, trying to be the next one he tied. I held out my arm, and finally, he started wrapping my left. He got the string a couple times around, then looked at me, and grabbed my right wrist, and started wrapping it. A lady next to me started laughing and told him something – I’m assuming that I was a girl. He looked at me again, then started wrapping my left wrist. We all laughed about it, then we left, after Mike got his wrist wrapped. We drove back down the mountain, stopping here and there for photos. 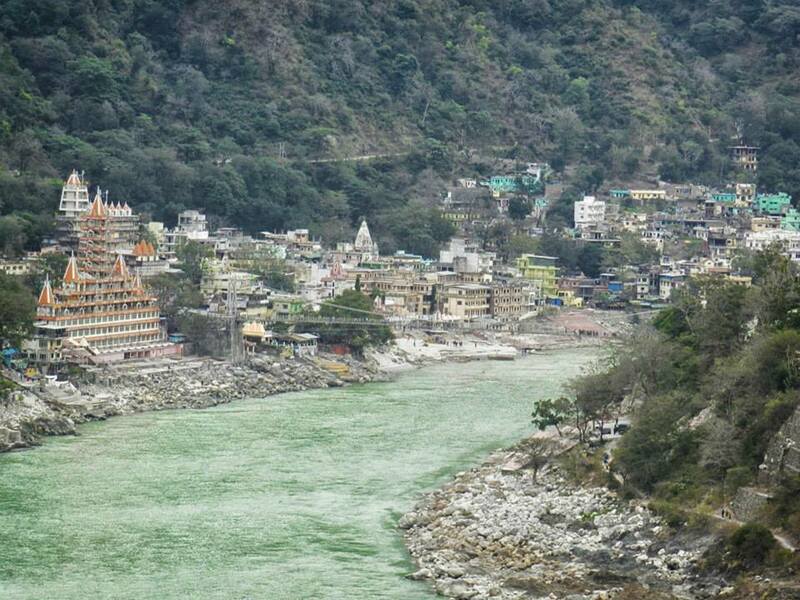 At the bottom of the hill, back at the bridge crossing the Ganges, we stopped at a temple to Hanuman. We went inside, and put orange color on the statue, then walked around clockwise outside. We played follow-the-leader with Hukam and Lata -what they did, we did, so we touched statues if they did, backed away from the temple, etc. Afterwards, we came back to the hotel and had masala chai in our room. Hukam said that Lata wanted to “make my hair look very nice.” So I said ok, and she braided it, then put a sparkly hair tie with bells on it on the end. She said she wants to try a new style tomorrow, before we go out walking at 1 pm.